The 2009 Ferrari 430 Scuderia. FOR this weeks blog I present to you a beautiful Rosso Corsa, 2009 Ferrari 430 Scuderia photographed at Rodd Park in Sydney, New South Wales. Ferrari first launched the 430 Scuderia at the 2007 Frankfurt Motor Show as a completely stripped out "race" version of the already insane F430, or in other words, the successor to the Ferrari 360 Challenge Stradale, the same car that I featured last week. Along with being 100 kilograms lighter than a standard F430, Ferrari added a revised intake, new exhaust and an ion-sensing knock-detection system that allows for a higher compression rate to the engine to bump up the power by 15 kilowatts (20 horsepower). The Ferrari 430 Scuderia also features a revised six-speed semi-automatic transmission, dubbed the "Superfast2", which can produce shift times of less than 60 milliseconds. The 430 also has a kerb weight of just 1349 kilograms. All of this works together to allow this Ferrari to launch from 0-100 kilometres per hour in just 3.6 seconds, and it will keep accelerating until it reaches its top speed of 319 kilometres per hour (198 miles per hour). This means that the 0-100 kilometre per hour launch time is 0.4 seconds faster than the standard F430, and it will top out three kilometres per hour (two miles per hour) faster. To put this into perspective, the 430 Scuderia is able to do a lap of Ferrari's racing circuit, Fiorano, in 1:25. This means it can go around the circuit in the same time as the 430's replacement, the 458 Italia, and also the same as a Ferrari Enzo. It is also two seconds faster than a standard F430 around the track. Some other features that this particular Ferrari 430 Scuderia is equipped with includes 19-inch, five-spoke alloy wheels wrapped in performance tyres, a revised bonnet with a molded lip spoiler, double-wishbone front and rear suspension, a front and rear stabilizer bar, four-wheel ABS as well as traction and stability control, xenon headlights, electronic brake force distribution, an alcantara/carbon fibre interior, carbon fibre racing seats wrapped in alcantara and cloth, full carbon doors and much more. 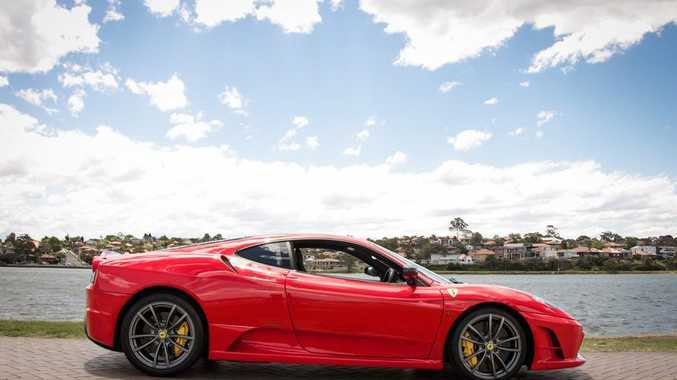 You can currently buy a low-kilometres 2009 Ferrari 430 Scuderia for about $430,000-$460,000.